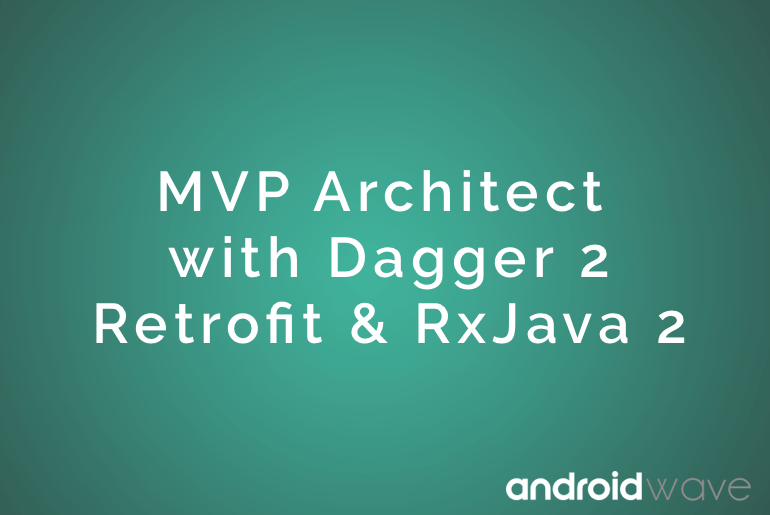 In this article, I’m gonna to explain the implementation of MVP architecture using Dagger 2, ButterKnife, Room Persistence, Rxjava 2, RxAndroid , Retrofit, logging and debugging. I will shared repository that contain all above library implementation following best practices. We create superior design in such way that it could be inherited and maximize the code reuse. To order to build a clean code in the MVP architecture, some tool and framework are needed. These are Dagger2, Retrofit, RxJava, RoomPersisstense It will be good to understand how each of these libraries plays a specific part in the role to build better code. There almost industries standard of build a modern application for Android. As this article we are using many libraries, So you need to have knowledge of each one library. because in this sample app all library integrated with depends on one another. I recommend you got through MVP Architect Sample Application Tutorials Series. : Dependency providing classes using Dagger 2.
: Services for the application. All service and Job IntentService should be placed here. In this repo, we have created a separate package for each module or functionality. For all user interface part is placed in UI package. Inside the UI package, we have created separate package for each small app module or activity. I would like to suggest just create a new package for new activity. For example for login module create login, for main activity create main, for profile create a profile package. such as below diagram. Just create a new package name like profile. Now go to file menu and create a new activity named is ProfileActivity. Now extends the BaseActivity instance of AppCompatActivity and override setUp() methods. Furthermore, create a new interface with names PofileMvpPresenter<V extends ProfileMvpView> which extends MvpPresenter<V>. The view is here type of View. Here you declare all data related methods. For example network operation, fetching data from local DB etc. Now open ProfileActivity and implement ProfileMvpView. Finally, Your activity is ready to run, Almost same step you have to follow for fragment. We have to follow some basic step to add RestAPIs in this repos, as you seeing BaseDataManager class is responsible to handling all type data such as Rest APIs , PreferencesManager and local DB also.